As a defensive lineman, Carter always focused on being big. A three-star recruit on Rivals.com coming out of high school, he worked his way up the depth chart at UCLA, eventually starting and earning the program’s Kenneth S. Washington Award for Outstanding Senior in 2010. 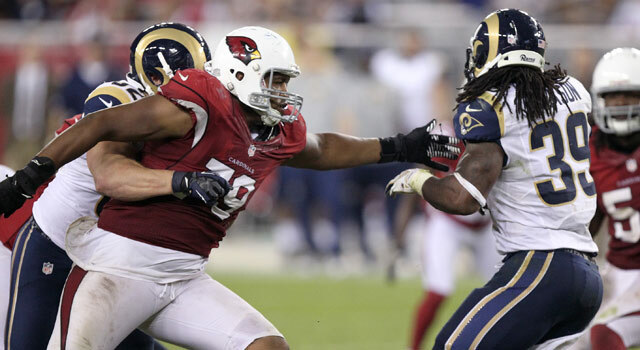 Drafted in the sixth round of the 2011 NFL Draft by the Arizona Cardinals, Carter never could’ve imagined giving up his carnivorous lifestyle, fearful of becoming weak and skinny. He drank milkshakes and chomped down meat, consuming as much protein as possible. But as the years went on, he suffered from high blood pressure and nerve damage. He couldn’t feel half of his right hand and had agonizing tendonitis in most of his joints. He took painkillers but still struggled to do push-ups and even make a fist. One night in 2014, he watched a documentary titled “Forks Over Knives” that explained how dairy and animal fats can cause inflammation in joints. “My food is my medication now,” said Carter, who played with the Cardinals in 2011 and ’12 before spending time with the Cowboys, Raiders, Jaguars and Bears from 2013 through ’15. Having hung up his cleats, Carter now travels the country advocating for the diet. Carter recommends veganism to anyone in the NFL, a place that isn’t typically known for meatless meals. Tyrann Mathieu‘s agent claims the Cardinals safety is “90 percent vegan,” whatever that means. Aside from the Honey Badger’s quasi-commitment to the diet, one of the few other widely known vegans active in the NFL is wide receiver Griff Whalen. 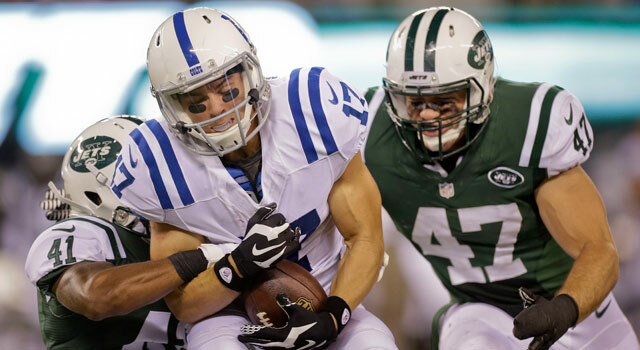 Undrafted out of Stanford in 2012, the former college walk-on signed with the Colts and ended up spending four seasons in Indianapolis, logging 45 catches for 487 yards and three touchdowns while also handling return duties at times. He spent this past offseason and preseason with the Dolphins, but was part of Miami’s final cuts in early September. A couple of weeks later, he signed with his current team, the San Diego Chargers. Whalen has been vegan for the last two and a half years. He grew up in Ohio, eating hearty Midwestern meals and “a lot of junk food.” Like Carter, he worried that eliminating obvious protein sources from his diet would leave him scrawny. But after extensive research, he made the switch and found his physical recovery and overall health improved. At 5-11 and just under 200 pounds, Whalen is less physically intimidating than Carter. While Carter can pass on the trademark steakhouse fare in relative peace, Whalen doesn’t always get off as easy. Teammates peer over Whalen’s shoulder at team lunches, examining his food. At first glance, he appears to have a slab of red meat, but further analysis reveals just two sweet potatoes with the skin on. But it is Mary Ellen Bingham’s. As team nutritionist for the Dolphins, Bingham can make suggestions and answer players’ dietary questions — but she can’t require anyone to eat or abstain from specific foods. During Whalen’s time with the Dolphins earlier this year, Bingham said numerous players approached her and the receiver inquiring about making the switch to veganism. In the NFL, protein is king, so when someone gives up the most prevalent sources of it and still maintains muscle while feeling improved performance, word gets around. At Miami’s OTAs in June, Dolphins star Jarvis Landry attempted the diet — but he only lasted about a week. Carter knows the lengths guys will go to in order to stay big, and they aren’t always healthy. Bingham points out that many guys enjoy the foods they are currently eating and don’t want to give them up. Still, Carter has made it his mission to spread veganism. He spoke at July’s Animal Rights National Conference in Los Angeles, but he doesn’t always directly address animal rights. Carter believes it’s a trickle-down effect — expand veganism, expand the ethical treatment of animals — and he is most interested in extending the vegan movement to minorities. Both Carter and Whalen intend to stick with veganism for life — despite their love of the pigskin, of course.